The other day my wife sent me an interesting article that discussed some of the newest technologies regarding drug manufacturing. There are some amazing advances on the horizon regarding the innovative methods in which drugs could be manufactured and distributed in the future. As a clinical pharmacist, I’m always fascinated with new drug technology, especially since I freely admit that I began my practice years ago during the time when delayed and extended-release dosing technology was just becoming a reality. Extended-release medications are common dosage forms these days to give patients the ability to mange therapies with once-a-day dosing rather than having to consume multiple pills evenly spaced throughout the day. That technology alone skyrocketed compliance to prescribed medicines in a brief period of time. 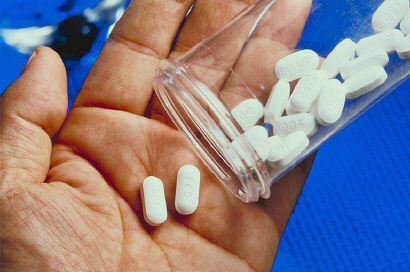 Presently, the newest medication technology in the spotlight is three-dimensional printing of pills—Yes, 3D-printed drugs! to this technology by the mid-21st century! 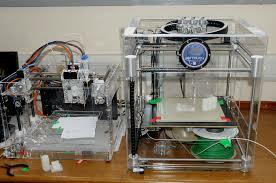 Last month the FDA approved the first 3D-printed prescription drug. Such bold action by the FDA validated this technological advance and gave a nod to the safety of mass manufactured drugs via 3D printing. The specific drug approved for 3D-printed manufacturing and distribution to the American public is an older drug ingredient previously used to control various types of epileptic seizures. The advantage of this new, more efficient medication form is that the tablet is constructed as a cohesive powder matrix that immediately dissolves upon contact with water to give an instantaneous burst of beneficial effect. The swift dissolution of the drug in water or in the mouth followed by a drink of water provides the ultimate benefit for a non-professional to curtail the sudden onset of a seizure episode as compared to an injection by a medical professional. 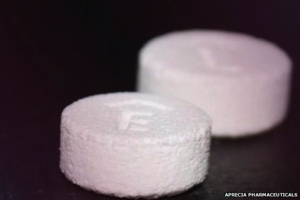 Granted, creating one tablet at a time via a high speed, computer-controlled 3D printer into an affordable alternative is a challenge, but the seizure control medication mentioned above is already on the market and is printed on a multiple dose platform, high-speed 3D printer that makes it economically feasible. The hope is that this radical change in drug manufacturing technology will become a medical mainstay and open the entire field of personalized medication distribution. With this technology, it’s theoretically possible in the future to tailor each tablet dispensed to a patient’s individual therapy needs—that is, one tablet a day packed with a patient’s entire daily prescription regimen manufactured and dispensed at the pharmacy on demand. That would especially be an advantage to older patients who may have trouble remembering which pills to take when. As an author, I still marvel about print on demand books and think they’re the best idea since sliced bread. 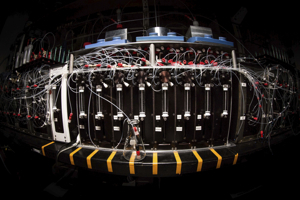 It literally blows my mind to consider that the near future could bring print on demand drugs! Chemists at the University of Glasgow are building an all-in-one 3D pill printer called “the chemputer” that will be able to download blueprints for drugs and print them at local pharmacies—and eventually directly at a patient’s home. 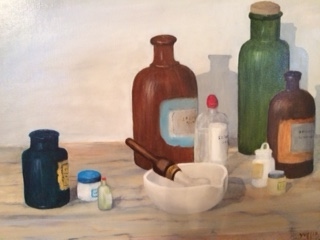 Now that idea brings up all sorts of red flags for me, both as a pharmacist and as an author. As a pharmacist, I worry about quality control issues to assure that the proper strength of the correct drug is safeguarded with personal pill printing. As a writer of murder mysteries, I’m salivating at the wonderful murder plot scenarios I’m imagining that could happen with intentional medication misprints. This entry was posted in 3D Imaging Technology, 3D Printed Drugs, 3D Printed Medications, 3D Printed Medicines, 3D Printed Pills, 3D Printing, 3D Replicators, A How To Blog on Murder Plot Ideas, A How To Blog on Murder Weapons, About James J. Murray, About Murder, Blog Writers, Blogging, Bloodless Death Scene Writing, Chemicals Used For Murder, Compounding Phamracy, Designing Murder Plots, Digital 3D Printing, Drug Misadventures, Drugs For Murder Plots, Drugs Used For Murder, Future Drug Manufacturing Practices, Future of Prescription Drug Distribution, Ideas for Murder Scenes, Innovative Drug Manufacturing Practices, Interesting Murder Weapons, James J. Murray Blog, Medication Safety Issues, Murder Mayhem and Medicine, Murder With Drugs, New Blog, New Drug Manufacturing Methods, Non-Compliance to Prescription Therapies, Object Duplication, Obsession with Proper Usage of the English Language, Patient Therapy Compliance Issues, Personal 3D Pill Printing, Prescription Drug Safety, Prescription For Murder Blog, Print On Demand Drugs, Radical Drug Manufacturing Technology, The Pharmacy Profession, The Practice of Pharmacy, The Science of Murder, Tools of Murder, Unique Murder Plots, Unique Murder Weapons, Ways To Kill, Ways to Murder and tagged 3D Imaging Technology, 3D Printed Pill Manufacturing, 3D Printers, 3D Printers For Drug Making, 3D Printing of Medicines, 3D Printing Technology to Kill, 3D Printing Technology to Save Lives, Anti-Seizure Medication is 3D Printed, blogging about crime, blogging about drugs, Chemputer Technology, crime fiction writer, Distribution of 3D Printed Pills, drug-related murders, FDA Approves 3D Pill Printing, Future of Medication Dispensing, Individualized Drug Dispensing, Individualized Drug Manufacturing, Innovative 3D Imaging Technology, Intentional Medication Misprints, James J. Murray, Modular 3D Printed Drugs, Multi-Drug Dosing Manufactured Into Single Dose, Murder Mayhem and Medicine, murder mystery writer, new blog, Personal Pill Printing, pharmacist writer, Prescription For Murder Blog, Print On Demand Medications, Print Your Own Medicines, Rapid Drug Dissolution Methods. Bookmark the permalink. 4 Responses to Print Your Own Medicines! I hadn’t heard about this. Very cool. Seems like one of those futuristic things that will actually happen. Extremely fascinating yet a little disturbing at the same time. A fascinating discussion, James. It raises great opportunitiesd for speculative fiction murder mystery plots. Thanks for sharing! Doesn’t it, though! Thanks for your comment.